Home / Blog / Running a Website / Reboot! Elated version 2. Gotta love those fixed tiny-width columns! Elated version 3. Kudos to an artistically talented friend of ours for the cute bear! Eventually Simon and I went our separate ways — Simon got himself some contract work and eventually a steady job in London, while I branched off into freelance web development and a few other fun projects. 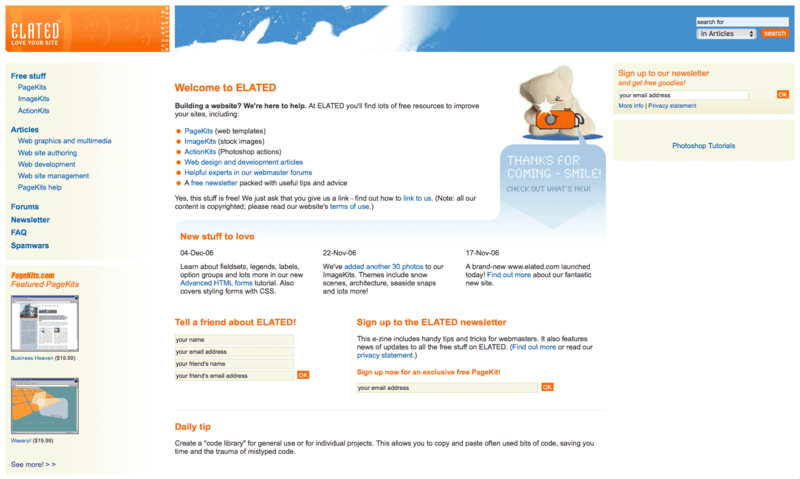 During this time I continued to update Elated, mostly with web design and development tutorials, and thus it evolved into a tutorials blog, with a snazzy new redesign (again done by Simon) and a transition to all-PHP code. I also had a big hit with my eBook on jQuery Mobile, which sold surprisingly well and gave me a nice taste of financial freedom for a while. Elated.com was also doing quite well with advertising at this time, thanks to fairly decent traffic levels (around half a million visits a month). Unfortunately, in 2011 and 2012, Elated’s traffic took a tumble thanks to Google’s Panda and Penguin updates, which killed off not just the ad revenue, but also my enthusiasm for working on the blog. So it has pretty much been dormant since then. In the meantime, I started up Brightpips, a blog about kids, tech and learning, and a corresponding interactive book on space, which I’m still immensely proud of. Then my wife and I launched Tech-Savvy Tigers, a blog and web design and development business aimed at helping solopreneurs and online entrepreneurs. 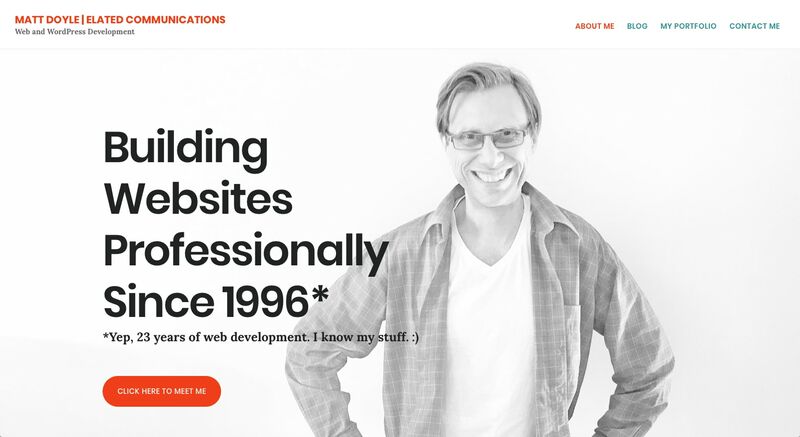 This worked fairly well for a couple of years but never really brought in decent money (I suspect this was partly because many solopreneurs don’t have much of a budget to spend on their websites!). 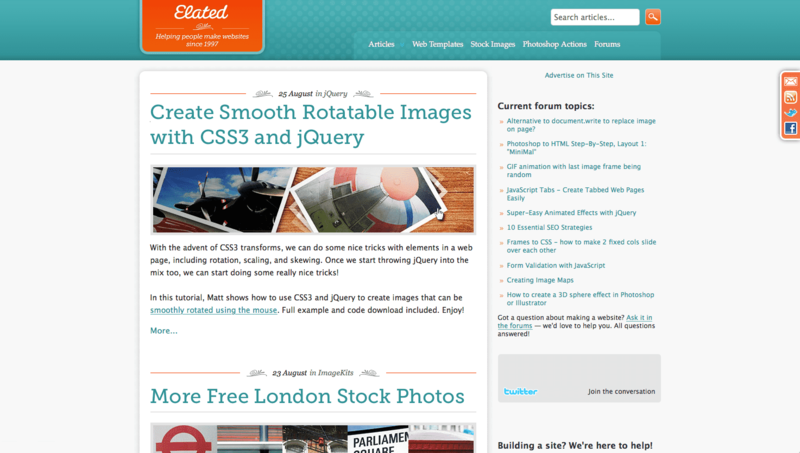 So, over the last few weeks I’ve been having fun building this brand new, WordPress-based site for elated.com, as well as writing a custom WordPress plugin to import the hundreds of blog posts and thousands of forum comments from the old elated.com site (which was an entertaining way to spend a couple of weekends!). 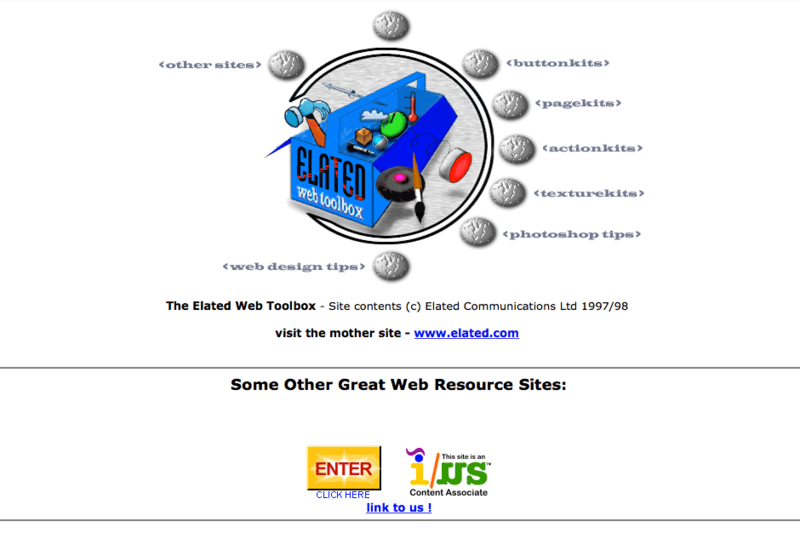 The current incarnation of elated.com — now very much a portfolio site for my web development biz, although most of my original blog posts are still there too. Hello, that’s me! From here on in, this site will be mainly about me and my web development services. I will no doubt post the occasional article on the blog about web dev, WordPress, and how my business is going (and hopefully growing), as well as the odd rant. You’ll also still find many of my previous tutorial blog posts here (over 200!) as well as my blog posts that were previously published over on Tech-Savvy Tigers. I hope you enjoy it. Been a loooonng time. Nice to see your site running again. Subscribed. Use to visit your old site often when I had my own business site online. My present site is just a free one to mess around with.